$496m Tucano aircraft purchase : Senators call for Buhari’s impeachment – Royal Times of Nigeria. 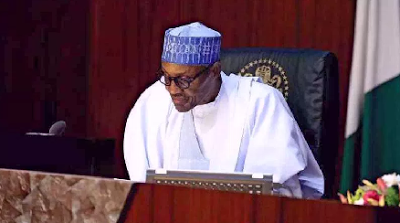 Members of the Senate have asked that the process to impeach President Muhammadu Buhari be started, for failing to get the approval for the withdrawal of $496m from the Excess Crude Account to purchase military aircraft, PUNCH reports. Senator Mathew Uroghide, who moved a motion at the plenary on Thursday, told President of the Senate, Bukola Saraki, to allow the chamber to invoke Section 143 of the Constitution. It could be recalled that Saraki had on Wednesday read a letter from Buhari ‎in which the President disclosed that the money had been withdrawn and paid to the United States for the 12 Super Tucano aircraft, ahead of legislative approval. This, he said, was done to beat the deadline for the arms deal. The planes will be delivered in 2020. Senator Shehu Sani has described the expenditure as a gross abuse of the Constitution. Describing the impeachment as a PDP conspiracy, Ibrahim challenged the opposition lawmakers to name any state governor who benefited from the withdrawals from the ECA and sought the approval of the state House of Assembly before spending the money.